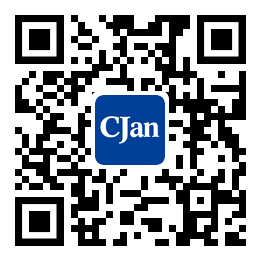 ﻿ Application and Cautions of Rubber Hose Pipe - CJan Fluid Technology Co., Ltd.
Long service life; No animal origin; Smooth lining provides smooth flow and easy cleaning. Low moisture absorption and low permeability; The flexible hose pipe can visually monitor the flow of the solution for the translucent color; Made from FDA approved materials; Meet the standards of USP, ISO and EP ;High temperature sterilization and high pressure sterilization; Can tolerate great pressure. The bio-ingredient beverage is specially designed for key fluid and peristaltic pump with peristaltic pump. The flexible hose pipe is semi-transparent and flexible, suitable for fluid equipment. 1. Use the rubber hose pipe in the recommended range of temperature and pressure . 2. When the rubber hose pipe is expanding and contracting with its internal pressure, please cut it into a slightly longer length than you need. 3.When applying pressure, please slowly switch any valve to avoid impact pressure. 4. Rubber hose pipe should be used in the condition of bending adius or above, otherwise it will break the rubber hose pipe and reduce the resistance to pressure. 5. When using powders and granules, the bending radius of the rubber hose pipe can be enlarged as possible depending on the conditions. 6. In the vicinity of metal parts, do not use in extreme bending. 7. Do not contact or close to open fire. 8. Please do not use the vehicle or other to press the rubber hose pipe. 1. The rubber hose pipe you used should be suitable for the delivered fluid. 2. Consult the product provider before using the rubber hose pipe for oil, powder, toxic chemicals and strong acid or strong alkali.